Facts Check Analysis: No this is not true as claimed in the viral news spread in the message on the social media. This image and news as posted is not the Asia’s largest cinema hall. The message further claims the theatre to be launched on Junw 26 and the ticket price to cost Rs 800. It is no doubt that the theatre is big and Reliance Mega Mall in Vadodara is already running from long time, This mall has INOX with three screens which have been operational since the last three and a half years.. 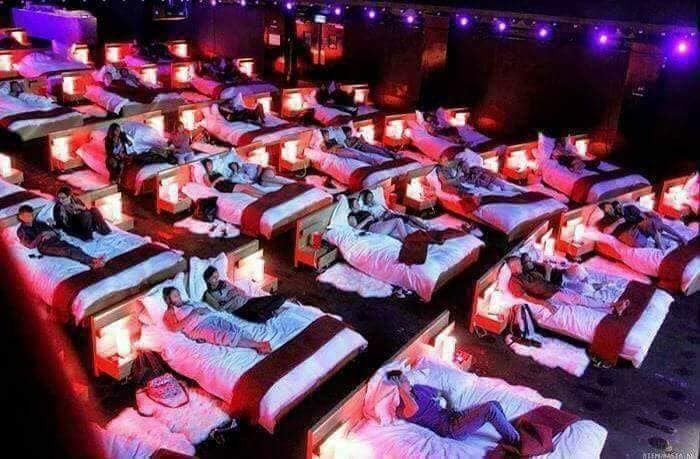 The picture used in this viral message is from different countries and different theatres and not from this theatre as stated. Brief Outline: The message claims India's Largest Cinema Theater at Vadodara(Gujarat)... to be opened on 26 th June by Reliance Movie Mall. Ticket price: Rs. 800. 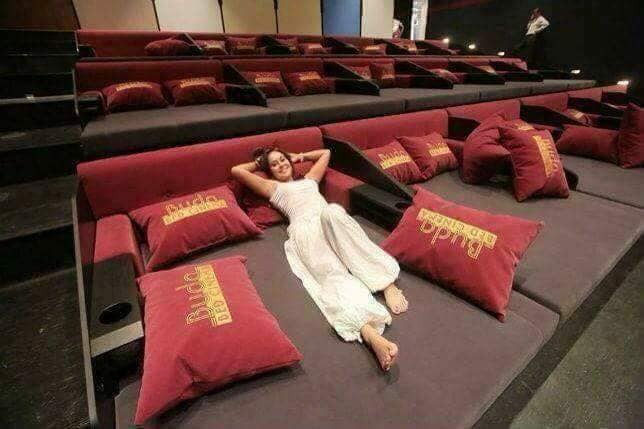 Specialty... You can watch a movie by lying in bed..
India's Largest Cinema Theater at Vadodara(Gujarat)... to be opened on 26 th June by Reliance Movie Mall. Ticket price: Rs. 800. Specialty... You can watch a movie by lying in bed..
What can be more enjoyable on a cold winter day than watch movies squatting in bed? 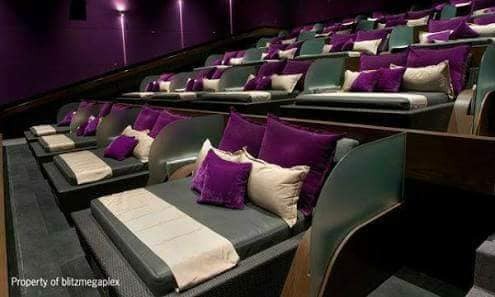 Those who are at this time in Moscow can enjoy this pampering and this one in a cinema because the classic armchairs in the movie theater have been replaced with comfortable beds. Visitors are encouraged to take off their shoes, give up inhibitions, and get comfortable in bed. To complement the atmosphere, they are equipped with pillows and pillows, and even bedside tables. The bums who participated in the experiment were delighted. To enjoy pampering, visitors will take between 200 and 400 rubles, depending on the time the movie is broadcast. The new offer will be valid until December 14th. The organizers promise, however, that similar events will follow. The cinema chain Blitz Megaplex offers Velvet Class auditoriums in all their movie theaters in Indonesia. The comfy sofa beds also include a table for holding food and drinks. Titanic Theater, Paris: This is the theater of Paris built on the lines of the Titanic, and coming in, you have to sit down and watch the movie which is a bit weird. It's really cold outside, and you don't fancy going out. You prefer staying home, snuggling in bed, watching a DVD whilst drinking a hot choco. But what about if you could snuggle in bed, have a waiter bring you drinks and pop corn, and watch a movie premiere on a super huge screen to the sound of Dolby?